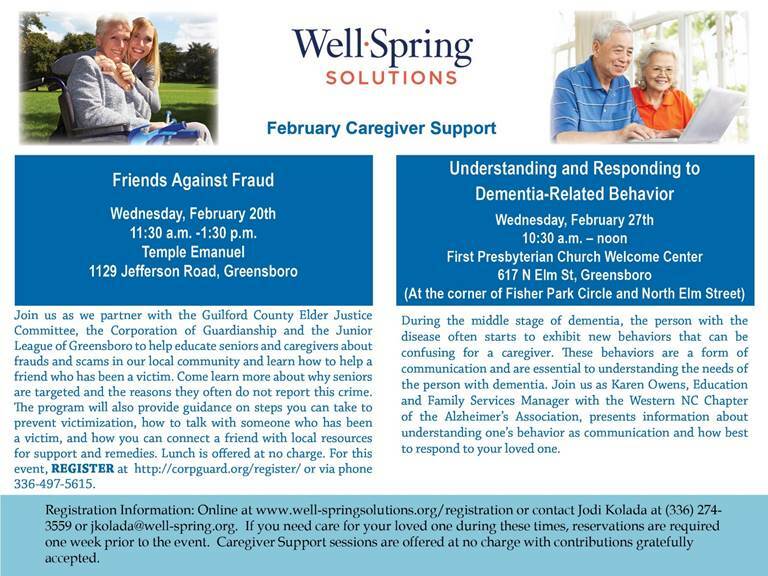 Join us as Karon Owens, Education and Family Services Manager with the Western NC Chapter of the Alzheimer’s Association, presented information about understanding one’s behavior as communication and how best to respond to your loved one. 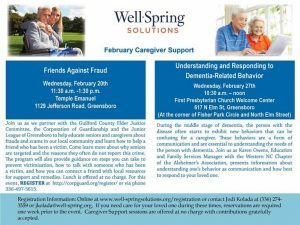 Register online at: https://www.well-springsolutions.org/registration/ or contact Jodi Kolada at (336) 274-3559 or jkolada@well-spring.org. If you need care for your loved one during these times, reservations are required one week prior to the event. Caregiver support sessions are offered at no charge with contributions gratefully accepted.